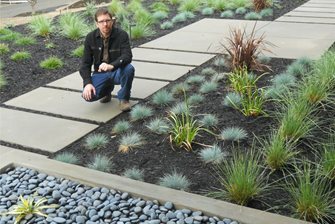 Joseph Huettl at one of his completed projects. A swimming pool and spa that Huettl designed for a family backyard. An in-ground trampoline that is part of one of Huettl's projects. 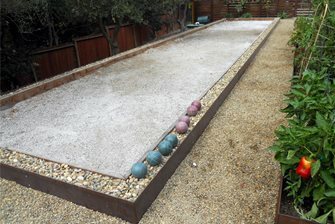 A bocce ball court designed by Huettl. 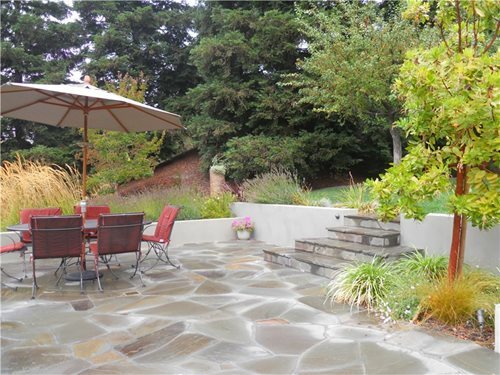 A flagstone patio at one of Huettl's projects. 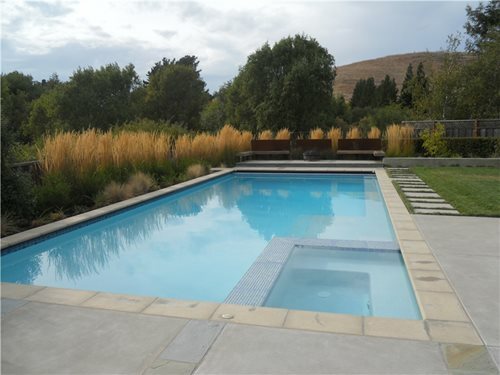 Joseph Huettl is a licensed landscape architect and contractor. He received his B.A. 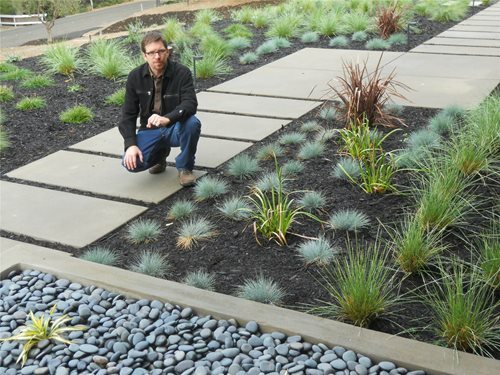 in Landscape Architecture from UC Berkeley. His projects have won numerous awards and been featured in books, magazines and newspapers. 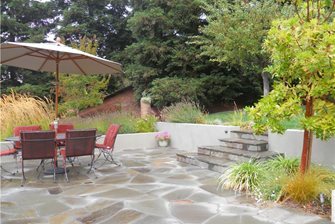 Huettl has worked on residential, commercial and institutional projects in the San Francisco Bay Area for over twenty years. 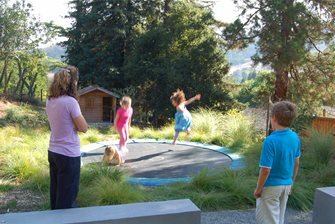 Previously a principal at Huettl Thuilot Associates, he now operates an independent firm: Huettl Landscape Architecture. 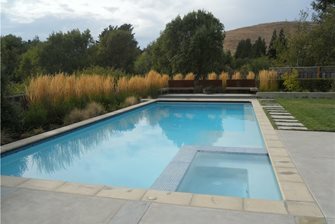 His company creates comfortable and compelling outdoor spaces that are both innovative and sustainable. 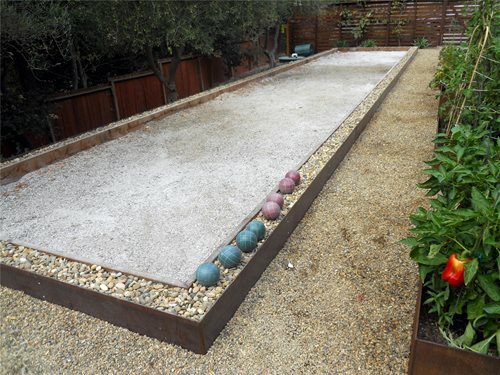 Bay Area Backyard - Take a video tour of a large family backyard with a pool and spa, millstone fountain, built-in grill and concrete and bluestone patio.